Steven (Chicagoland, United States) on 16 June 2010 in Architecture and Portfolio. Leading up to the memorial on the east side are the main steps. 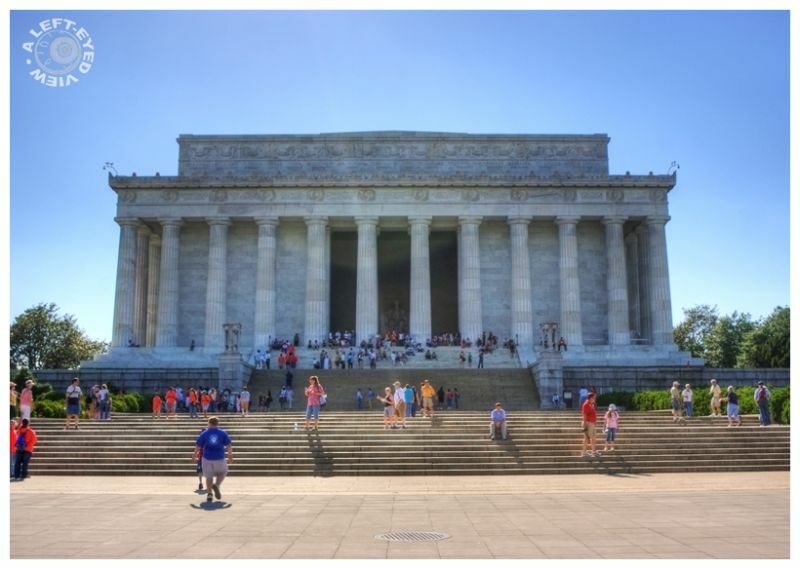 Beginning at the edge of the Reflecting Pool, the steps rise to the Lincoln Memorial Circle roadway surrounding the edifice, then to the main portal, intermittently spaced with a series of platforms. Flanking the steps as they approach the entrance are two buttresses each crowned with an 11-foot tall tripod carved from pink Tennessee marble. I really like the colors and the treatment. It´s like a postcard with promises of better times or happier memories. I like the shadows in this. It's a superb photo with a very good framing. Colours and textures are beautiful. Have a lovely afternoon Steven. A classic! Now take one of these pillar rows and compare them with the Brandenburg gate. Interesting comparison, no? That looks like a very nice place to wander in the warm sun.